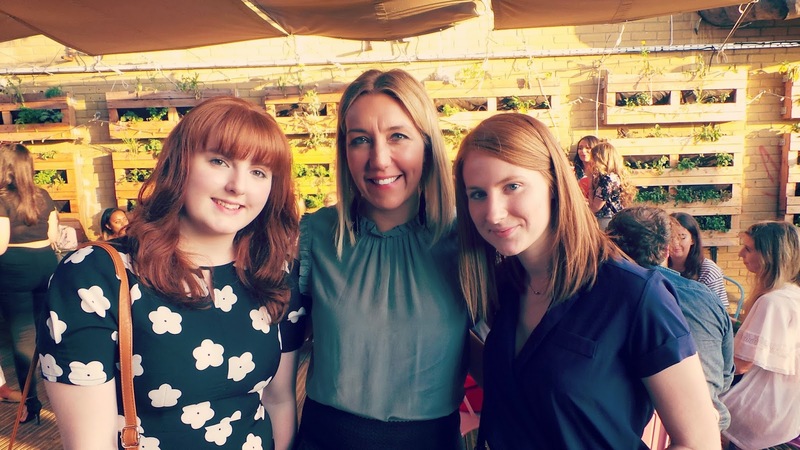 This week I grew some balls and decided it was about time I attended a blogging event all by my lonesome. I had seen other bloggers tweeting and posting their excitement about the Style Blogger Awards 2014 hosted by Company Magazine and me being a fairly new blogger I could only but wish to be invited to such an event. Luckily for me 'the general public' was able to buy tickets, so the night before I went for it - 'Ticket purchase confirmation'. The venue itself was pretty cool, set in an East End warehouse the theme was 'festivals'. 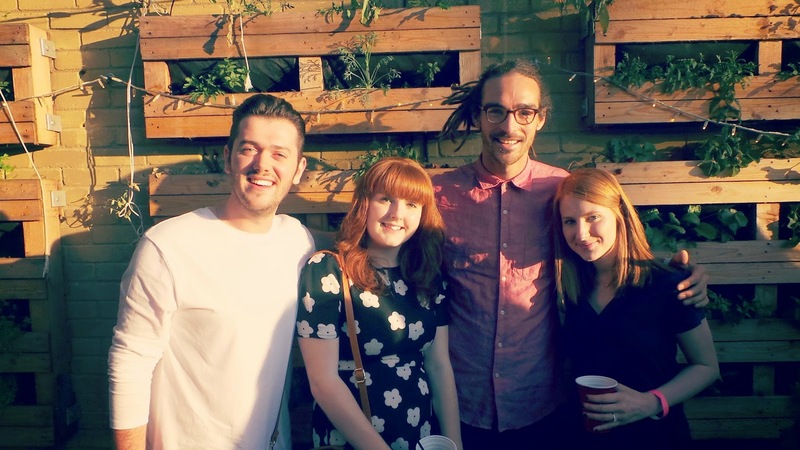 They had their very own BBQ, balcony with summery Deck Chairs and even strawberry plants! Inside was filled with people waiting to braid your hair, apply metallic tattoos and paint your nails. 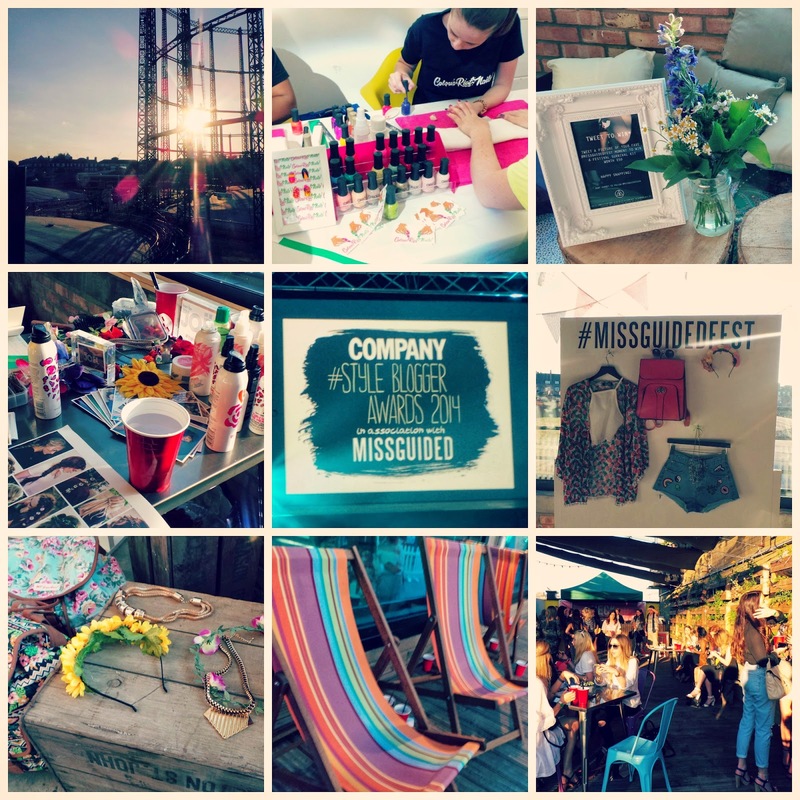 There were rails of some of the cutest summer pieces from Missguided and the opportunity to organise the ultimate festival outfit. At first it was a little overwhelming, but after tucking into a hotdog and covering myself in ketchup I began chatting away to Gemma who had been shortlisted for 'Best International Blog newcomer' and I soon found out that I wasn't the only blogger there on my own :) We helped ourselves to the bar before settling down for the awards which were hosted by MTV presenter Becca Dudley. Once the awards had been presented we had a wander and bumped into a few familiar faces. We helped ourselves to ice-cream and metallic tattoos before chatting to other bloggers and heading off home into the night, not before picking up the most amazing goodie bag! Literally the next day it was as if Santa had been! It was such a good experience for me, especially feeling so anxious beforehand, but I had a really good time and met some lovely people. I also spied some of my favourite bloggers - Megs and Liv Purvis! Although there's not much left of my goodie bag (thanks to my mum!) I've been trying out some of the products so watch this space for some new reviews. Hello lovely, just wanted to pop over after our tweets earlier this evening during the chat, love that you jumped into the deep end and went to an event! I watch fun for Louis almost everyday so I'm a bit jealous you met him! I'd love to go to an event but I'm not really well enough yet to do one, one day hopefully though, maybe I'll see you there! Apologies for the late reply! Louis was lovely and so chilled out :) It was my first event and was so nerve wracking, but I'm glad I did it. I hope to see you there one day and wish you well. You also - I really loved your post about your dog helping you whilst you were having a seizure! They must have an instinct with things like this :) You too love!